From Goodreads: A new, laugh-out-loud novel from award-winning author Steven Herrick. Some things are too big for a boy to solve. 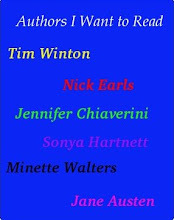 Jesse is an eleven-year-old boy tackling many problems in life, especially fitting in to a new school. Luckily he meets Kate. She has curly black hair, braces and an infectious smile. She wants to Save the Whales, and needs Jesse’s help. Both haven’t counted on Hunter, the school bully, who is an endless font of meaningless names. With Hunter’s catchphrase 'Ha!' echoing through their peaceful school, someone has to give. But will it be Jesse? Kate? Or is there more to Hunter than everyone thinks? An inspiring and funny story about the small gestures that help to make the world a better place. Thoughts: This is the sixth and last of the Children's Book Council of Australia (CBCA) shortlisted Younger Readers books. Most Steven Herrick stuff I have read previously has been books in verse and I've really liked them. This however fell short of the mark for me. Jesse and Hunter are both great characters, although I felt Hunter's story was the stronger of the two and I engaged with him a lot more than Jesse, but quite a few things just did not gel for me in this book. The alternative school just didn't work for me. For a place that promoted calling teachers by their first name, giving children a say and supporting a meat free diet, I couldn't understand why the teacher stopped Kate's talk about how the Japanese eat whales. There were a few other incidents where things occurred that just didn't seem to fit with the school's philosophy. The highlight of the book was Hunter. So nice to see a child portrayed as complex and not just the bully or the bullied. Hunter at school is a different kid to Hunter outside of school and while you start out not liking this little bully, it doesn't take long before you see a completely different side of him. He's a lot older than his years and a lot smarter than people think. 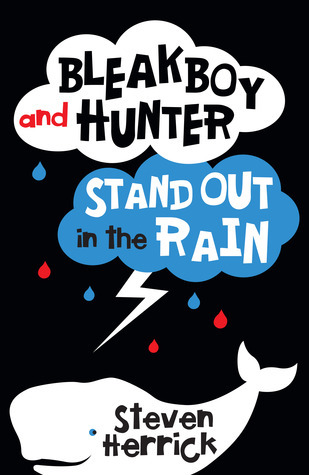 Bleakboy and Hunter isn't a bad book, it's just not as good as I thought or wanted it to be.